​It's Christmas time in the ​NBA, and you know that that means! Time to bust out your wrapping paper, ribbon and place your favorite Anthony Davis trade rumors safely under the tree. It's become apparent that the Los Angeles Lakers are working to ​put together a trade package for Davis (and totally not tampering), which comes alongside super subtle comments from superstar forward LeBron James that seem to imply he thinks they would be a good pairing. ​​I wonder what gives LeBron that idea. 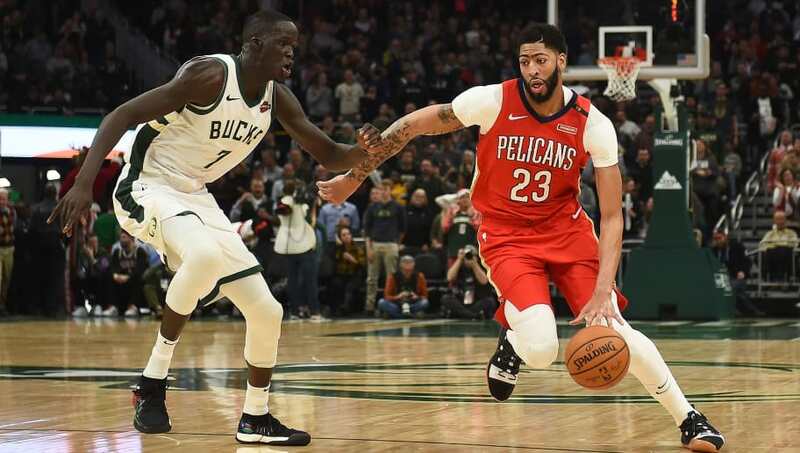 Luckily for the Pels, ​Davis seems ​apathetic to the thought. With trade talks abound in every corner of the basketball realm except New Orleans, one Pelicans staffer had an idea to get some more insight into how much LeBron really likes Davis. Odds are, it's a lot—who wouldn't want to team up with an all-time great player who hasn't even reached his peak yet? And King James will definitely need more help if he's serious about competing in the Western Conference. While it's a clear joke and nobody would ever have the guts to actually ask LeBron that question, it would be interesting to hear his answer. We know that LA ​refused to put Josh Hart on the table in a potential deal for Trevor Ariza, but it seems like a no-brainer to ditch him for a star of Davis' caliber. It's impossible to know what LeBron James ever really wants, but I guess it can't hurt to ask.